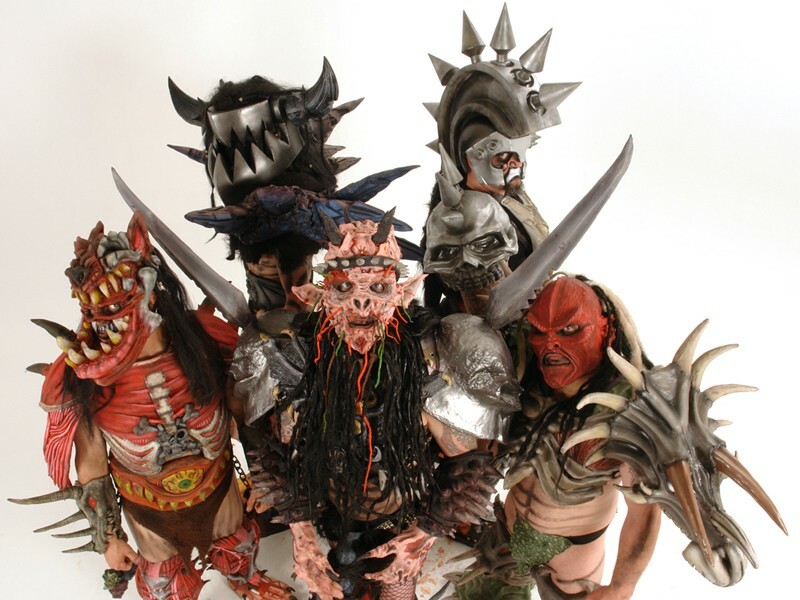 ODERUS Gwar, once an annual tradition in Sonoma County, now skip town due to radius clauses. Is it a bird? Is it a plane? Is it Godzilla? No, it's a radius clause! Everybody run for your lives! Aggghhhh! They're hideous—shield your eyes! Though you may not hear these exact screams from North Bay music fans, that doesn't mean they aren't still wondering, "Why don't any big name bands ever play in my town?" The answer isn't very attractive. Radius clauses, those little devils, have been a controlling aspect of the talent-booking business for years, and are the main reason why most big-name bands performing at larger venues like the Fillmore, the Warfield and the Great American Music Hall in San Francisco don't make the quick drive across the Golden Gate Bridge to play a show at one of the many worthy venues in our region the next night. A radius clause is a promoter's requirement in most booking contracts that a band may not perform geographically closer than 60 miles within a timeframe of 60 days before or after the promoter's show. For example, when Gwar play the Regency Ballroom in San Francisco, the band is contractually barred by Regency promoters Goldenvoice from playing the Phoenix Theater in Petaluma one month before or after their San Francisco show. The goal is to get fans within a 60-mile radius to drive to the show, thus maximizing ticket sales for the San Francisco date. Talent buyers in Marin, Sonoma and Napa counties have had to deal with radius clauses firsthand, and they'll tell you that, overall, they lose out when it comes to booking big acts. Jim Agius of the Phoenix Theater says that most of the time he doesn't even realize the business going down behind closed doors. "The majority of the time that it affects us," he says, "we don't even know about it, because in a lot of the national bookings that I do, the artists or the representatives are planning a routed tour. They'll look at the map and be like, 'All right, let's go here, let's go here, let's go here.' I believe that because of radius clauses, we just don't get offered anywhere near what we otherwise would." The Phoenix Theater is not alone. Patrick Malone and Aaron Kayce, talent buyers for Sebastopol's Hopmonk Tavern and Mill Valley's Sweetwater Music Hall, respectively, have also felt the sting of being turned down as potential venues for big-name bands. For Kayce, radius clauses are simply a matter of business. "There are some artists that you could book 10 nights in the Bay Area, and they'd sell them all out because they're that kind of artist," he says. "But there are others that can't support that. So at the end of the day, while it can be very frustrating for a talent buyer like myself, I do think it's a necessary evil." Malone, though having occasional issues competing against San Francisco, notes that the restrictions affect him when bands play at competing local venues as well. "I generally will be bumped," he says, "because whoever is booking and promoting that show doesn't want that band to play within a certain period of time and within a certain mileage because they feel it could compromise and jeopardize their attendance." Though it seems as if the big city usually wins out against small-town venues, Malone offers a time-tested strategy in working against other talent buyers to secure big bands: "Be ahead of them and try to be quick, basically. When you have an opportunity, just strike fast and try to confirm and lock in dates as soon as possible." Though neither Malone or Kayce discuss specific occasions in which they have had difficulty booking in the past due to radius clauses, Agius offers examples. "We did AFI back in 2010, and they had been booked like a month prior to play Live 105's 'Not So Silent Night,'" he says. "We still got the show, but Live 105 organizers freaked out that AFI had this other show at a little 700-person place in Petaluma, and they made us wait until their show went on sale before we could announce our show," Agius says. Days after speaking on the phone, Agius received an email from the agent for a Southern California band that cited a radius clause for the band's upcoming show at the Fillmore that blocks out two months of possible dates in Petaluma. All three talent buyers understand that even though the restrictions often work against them when trying to book big-name bands at their venues, radius clauses still have their place in the business. But next time you look up at a venue's marquee listing the acts who play there Friday night, don't whine to the venue about all the bands you want to see come up from San Francisco. Take up your complaint with the big-city radius-clause profiteers. As they say, it's the business.